Click here to view the solution for Kakuro puzzle 29 - Kakuro 16x16. I hope you managed to solve it and had a lot of fun trying to do so. 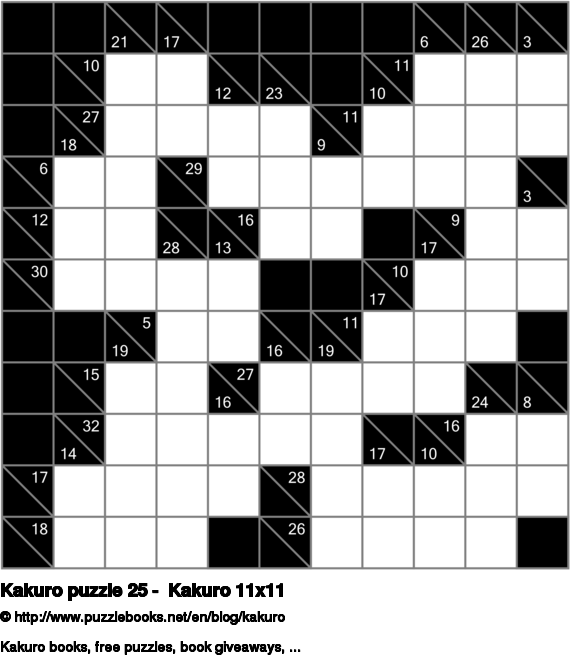 Kakuro puzzles are logic puzzles that are an ideal brain training. How to play Kakuro: The goal of Kakuro is to insert numbers into the white cells. Possible numbers are always 1 to 9. The sum of each horizontal block must equal the clue on its left. The sum of each vertical block must equal the clue above it. You can only use a number once in each horizontal or vertical block. 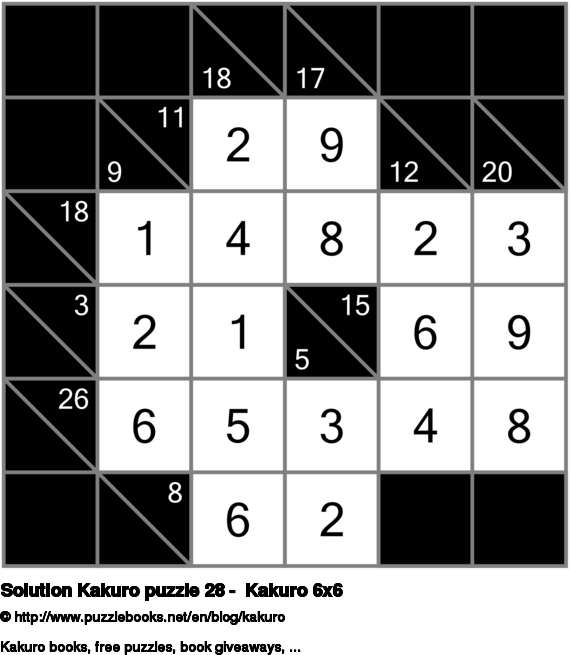 Click here to view the solution for Kakuro puzzle 28 - Kakuro 6x6. I hope you managed to solve it and had a lot of fun trying to do so. 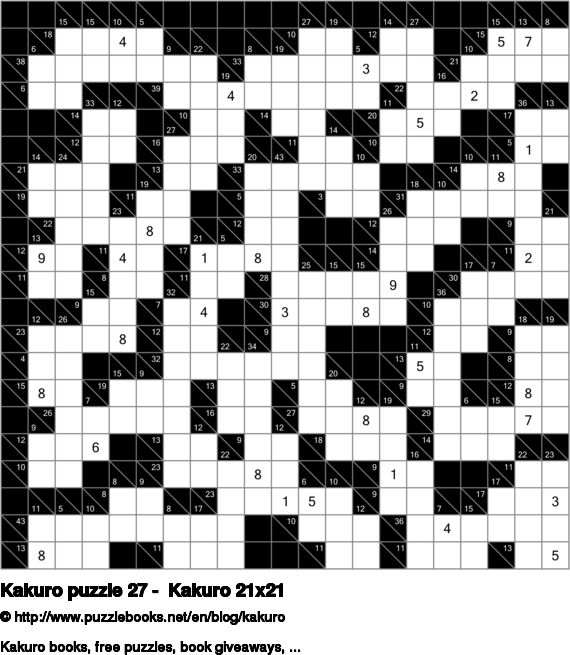 Looking for free online Kakuro puzzles? 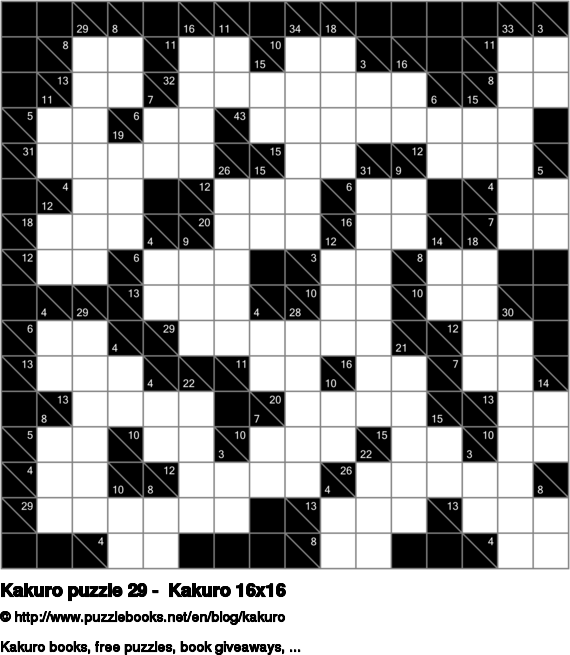 Today we have another Kakuro puzzle for you. It will give you a couple of minutes of entertainment. 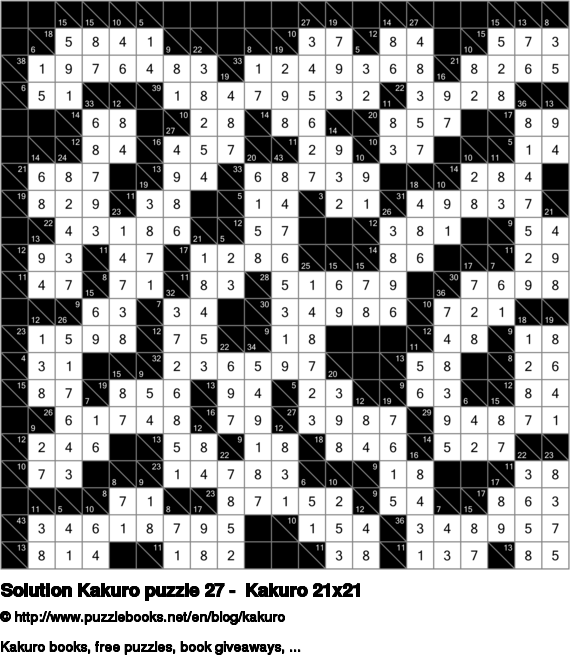 Click here to view the solution for Kakuro puzzle 27 - Kakuro 21x21. I hope you managed to solve it and had a lot of fun trying to do so. Another Kakuro puzzle for you logic puzzle lovers. Have fun solving it. Click here to view the solution for Kakuro puzzle 26 - Kakuro 22x22. I hope you managed to solve it and had a lot of fun trying to do so. Click here to view the solution for Kakuro puzzle 25 - Kakuro 11x11. I hope you managed to solve it and had a lot of fun trying to do so. I always find it gratifying when I finally solve a Kakuro puzzle. 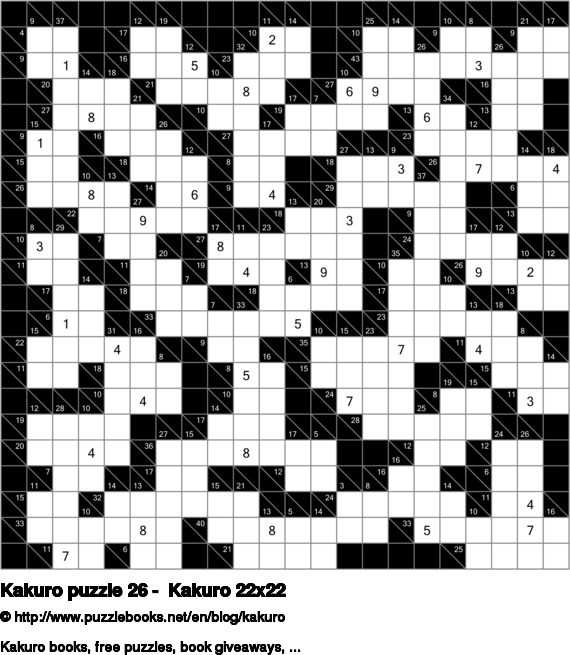 I felt thrilled when I solved this Kakuro puzzle.